Ahead of Earth Day, Apple announced how it is ratcheting up its efforts to rein in greenhouse-gas emissions from its worldwide operations: It is now compelling its suppliers to use wind, solar and hydroelectric energy to power their plants. As Steven Mufson and I report, the computer-maker said Thursday that 21 manufacturers in its supply chain have recently vowed to obtain all their electricity from those and other renewables sources, bringing to more than 5 gigawatts the total amount of renewable energy that will be used by the company and its suppliers by 2020. That would bring the use of renewable energy to more than 40 percent for Apple and its manufacturing supply chain, the company said, and the total number of participating suppliers to 44. Last year Apple said it had purchased enough renewable energy to cover all of its own operations and much of its suppliers'. Yet in a testimony to the complexity of reducing the single corporation’s contributions to raising global temperatures, Apple acknowledged that nearly three-fourths of its carbon footprint comes from manufacturing, almost all of which Apple outsources. 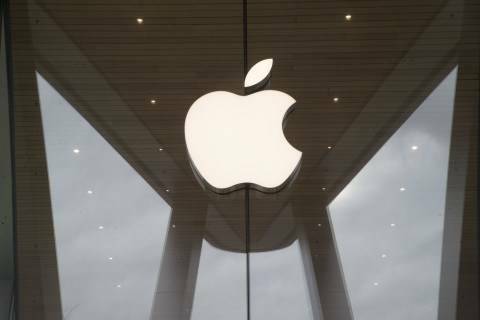 Lisa Jackson, vice president of environment, policy and social initiatives at Apple, said that a majority of the suppliers were based in China. The announcement from Apple, whose market capitalization for a time last year crossed the $1 trillion threshold, comes at a time when shareholders and customers are increasingly asking companies to step into the leadership void left by the U.S. government after President Trump’s commitment to withdraw from the Paris climate accord. Jackson, who before joining Apple served as former president Barack Obama’s Environmental Protection Agency administrator, mentioned that retreat from the international agreement that her old boss brokered as a motivation for the computer giant. “We felt it was really important for U.S. businesses to step up and make clear that we’re still in and understand our responsibility and commitment to address climate change,” Jackson said. At the same time, environmentalists have pointed to the incessant cycle of product releases for contributing to the mountains of “e-waste” as consumers abandon old devices for new ones. Apple’s decision to frequently change the design of charging ports on its cellphones and laptops, for example, leads to a lot of abandoned power cords. While Jackson said Apple is “absolutely working on” the charger question, it has identified higher priorities regarding a goal it set two years ago to get all of the material in its iPhones, MacBooks and other devices from recycled sources to reduce the impact of mining. Last October, Apple took a step with a relatively easy metal to recycle: aluminum. The company committed to getting all of the aluminum for its MacBook Air and Mac mini lines of computers from recycled sources. “I have to be honest, when we start looking at materials to prioritize, we prioritize those materials that we think are either conflict materials — or that can be problematic to source, I’ll say that — or that are huge energy users,” Jackson said, noting that aluminum smelting remains a large source of carbon emissions. — Trump signs oil and gas project orders: President Trump signed two executive orders during a visit to Crosby, Tex. that aims to expedite oil and gas pipeline projects and that will make it more difficult for state agencies to intervene, The Post’s Toluse Olorunnipa and Steven Mufson report. “Too often, badly needed energy infrastructure is being held back by special interest groups, entrenched bureaucracies and radical activists,” Trump said while at a union training center for operating engineers there. — Bernhardt's nomination advances: The Senate advanced the nomination of David Bernhardt to be interior secretary in a 56-41 cloture vote, with his confirmation vote expected to take place on Thursday. Republicans are moving forward with the nomination over the objections of Senate Democrats concerned about a former energy and water lobbyist being installed atop the department. Greenpeace activists, wearing swamp monster facemasks, delivered a petition with 170,000 signatures to Senate Majority Leader Mitch McConnell’s (R-Ky.) office on Wednesday to oppose Bernhardt. — Inslee focused on climate change during much of a CNN town hall: While the Washington governor made sure to expand on his record and discuss a broad set of issues, he made it clear during Wednesday’s CNN town hall that climate change is his priority. “If I am elected to this high honor, I will make defeating climate change the number one priority of the United States,” Inslee said. As he called on voters to donate to his campaign so he can make it to the first Democratic debate stage, he also mentioned the dearth of discussion over climate change in previous debates. “There was only four minutes of climate change in the last three presidential debates. I’m going to end that,” he said. — Lawmakers introduce bill to increase electric car tax credits: A bipartisan group of lawmakers from the both the Senate and House introduced a bill that increases the electric vehicle tax credit by 400,000 vehicles per car manufacturer. Both of Michigan's Democratic senators, Debbie Stabenow and Gary Peters, along with Republicans Lamar Alexander (Tenn.) and Susan Collins (Maine) sponsored the bill with Rep. Daniel Kildee (D-Mich.), Reuters reports. — A grizzly case: The Center for Biological Diversity filed a notice of intent to sue the Trump administration over its failure to establish a plan for grizzly bear recovery. The group filed a petition to the federal government in 2014 that identified 110,000 square miles of potential habitats for the animals in the Lower 48. “It’s past time the Fish and Wildlife Service created a new grizzly bear plan to follow the science and truly recover these magnificent animals,” Noah Greenwald, the Center’s endangered species director said in a statement. — 2019 has already seen billions in disasters: Last month, the central United States saw the nation’s second billion-dollar weather disaster of the year, The Post’s Jason Samenow reports. A bomb cyclone brought flooding to “millions of acres of agriculture, numerous cities and towns and causes widespread damage to roads, bridges, levees and dams,” National Oceanic and Atmospheric wrote in its March climate report, and global insurer Aon estimated the total damage from the storm to be at more than $4 million. The Senate Energy and Natural Resources Committee holds a hearing on "Opportunities for Energy Innovation and Other Potential Solutions to Help Address Global Climate Change." — Here is our first picture of a black hole: An international team of astronomers unveiled Wednesday its image of the long-theorized but never-seen celestral object, made with "a network of 10 radio telescopes spread across the planet and functioning as if it were a single receiver," The Post’s Sarah Kaplan and Joel Achenbach write.